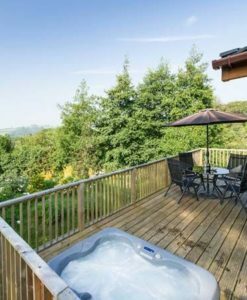 Relax surrounded by beautiful woodland and valley scenery. 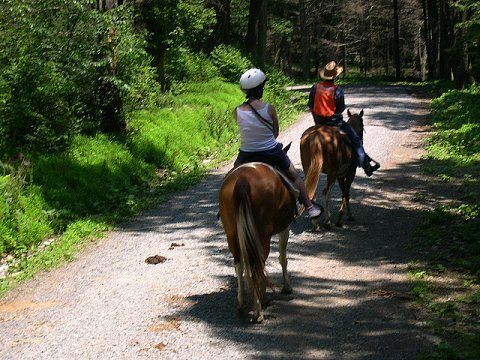 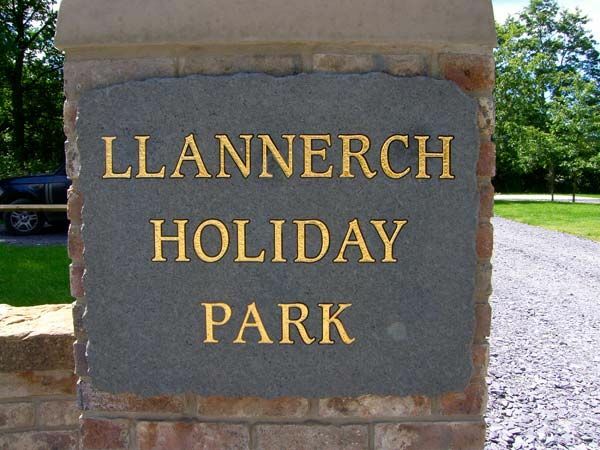 Enjoy the glorious unspoiled views of North Wales at Llannerch Holiday Park. 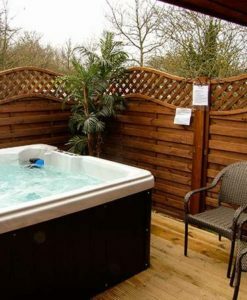 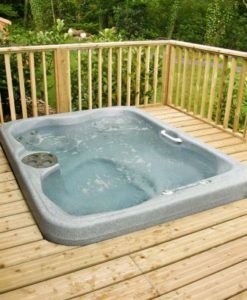 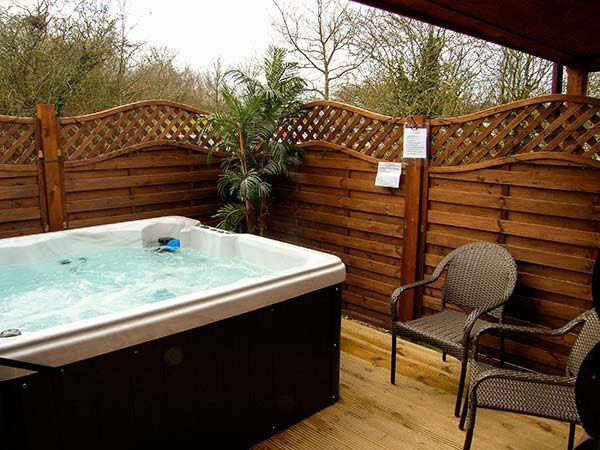 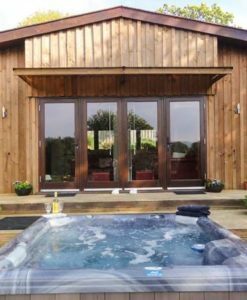 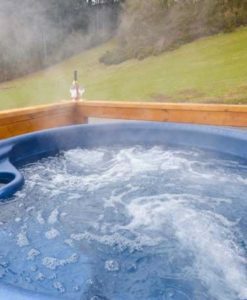 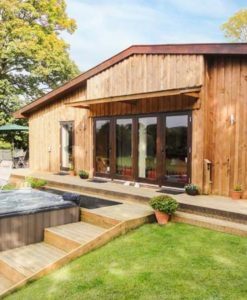 With its own very private hot tub for you to relax and unwind after an enjoyable day visiting the numerous attraction North Wales has to offer. 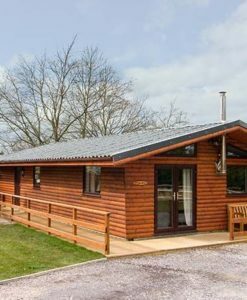 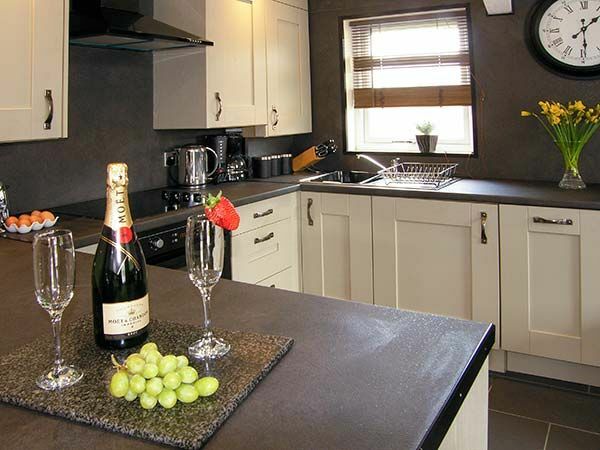 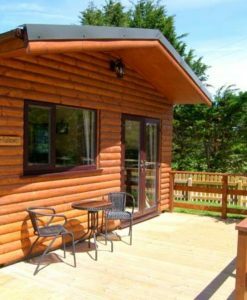 Stay 7 nights in Roe Lodge for as little as £435. Book early to secure your stay in 2016. 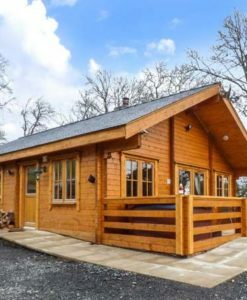 This superbly-presented, single-storey, detached log cabin is situated on a small development made up of six lodges in a semi-rural location near the city of St Asaph, in the picturesque Vale of Clwyd. 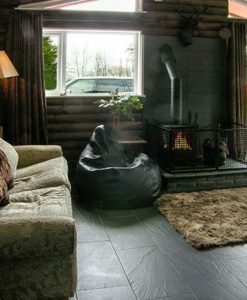 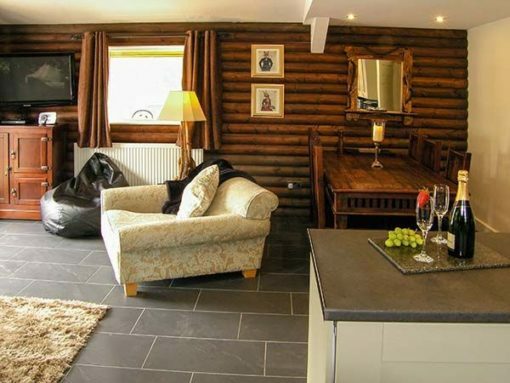 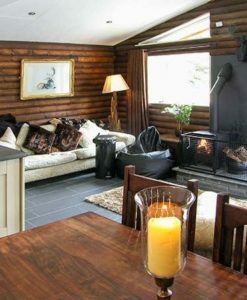 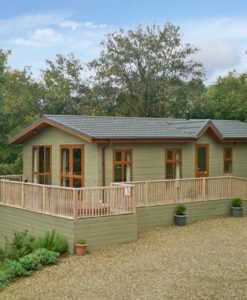 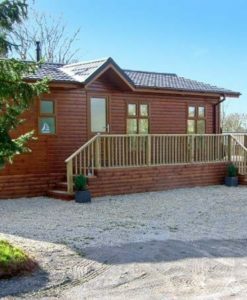 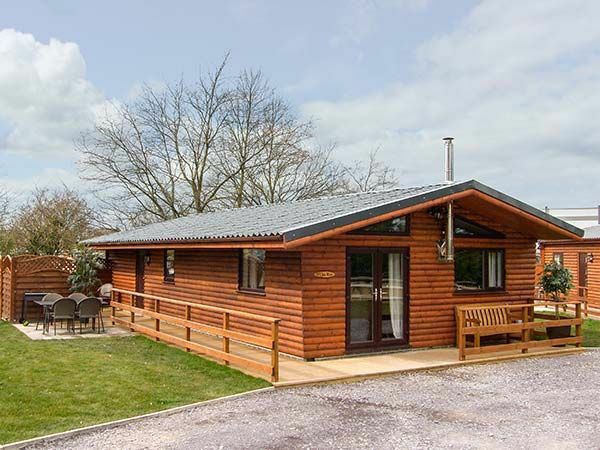 Luxuriously appointed throughout to provide stylish, comfortable accommodation, this delightful log cabin cottage near St Asaph is ideal for couples or small families looking to explore this unspoilt area of Denbighshire. 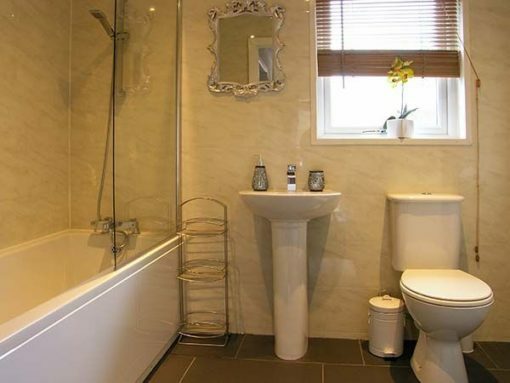 Three bedrooms: 1 x king-size double with en-suite shower, basin and WC, 2 x twin. 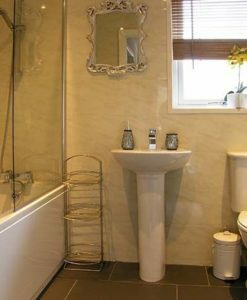 1 x double with en-suite shower, basin and WC, 1 x twin. 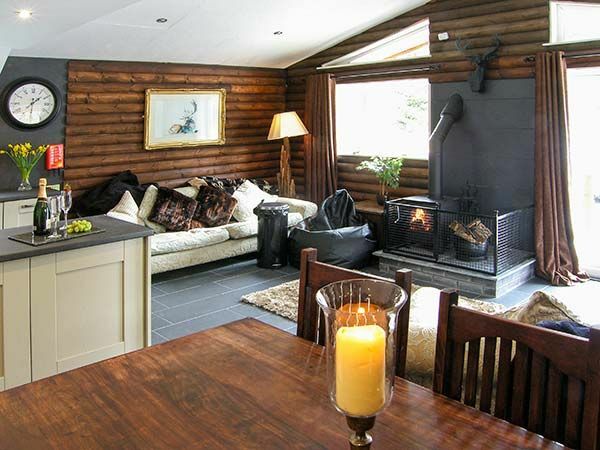 LPG central heating with woodburning stove. 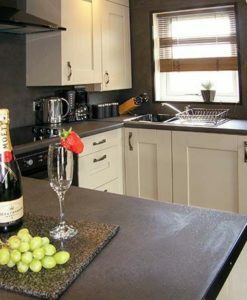 Electric oven and hob, microwave, fridge/freezer, dishwasher. 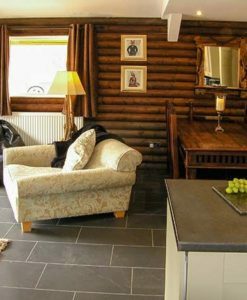 TV with Freeview, DVD, WiFi on-site, selection of books, games and DVDs. 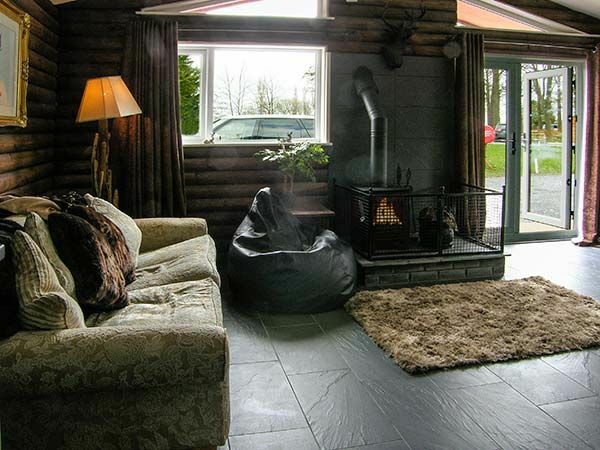 Fuel, power and starter pack for stove inc. in rent, additional fuel for stove available on site. 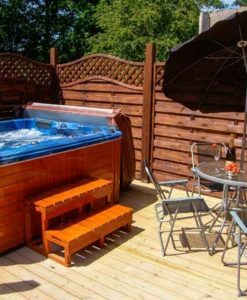 Enclosed decked veranda with hot tub, furniture and BBQ. 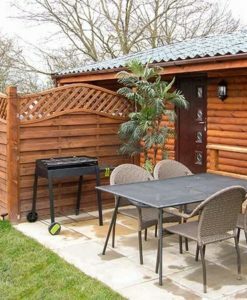 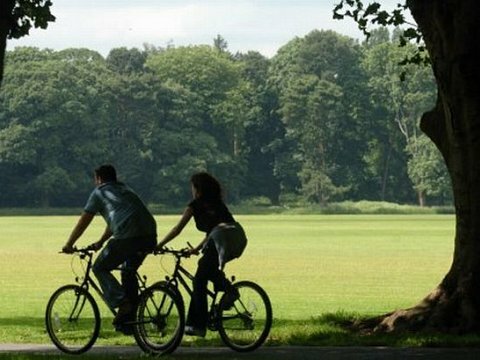 Shared lawns and woodland play areas. 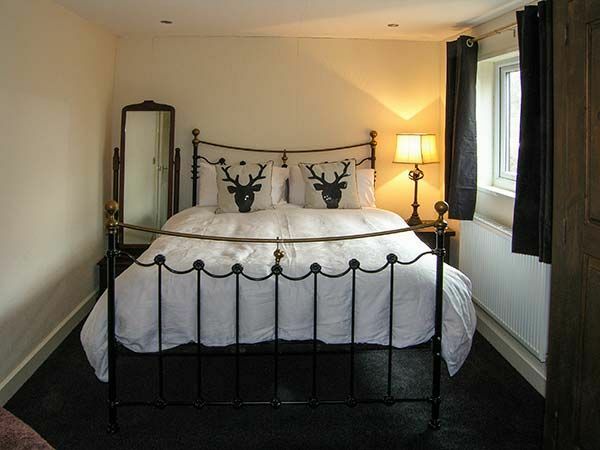 Shop and restaurant 2 mins walk, pub 1 mile. 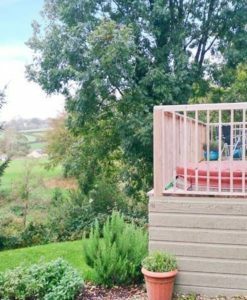 Free range eggs available to purchase when available. 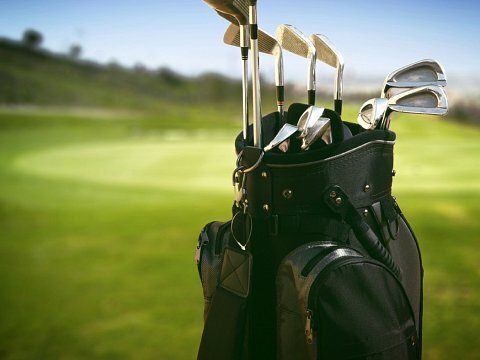 10% discount off golf course and the Tower coffee shop and dining at Tweedmill Shopping Outlet. 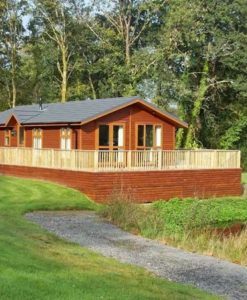 Free river fishing permit provided, coarse fishing permit payable locally. 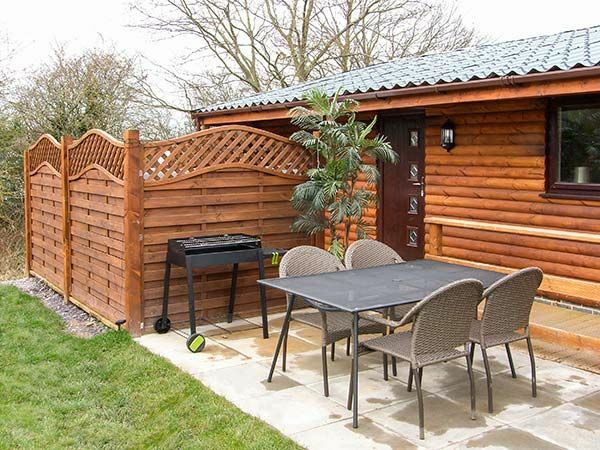 Stabling available with riding school on site, please contact the owner for more details. Situated in Llannerch Park, a 17th century country estate, near St.Asaph, North Wales. 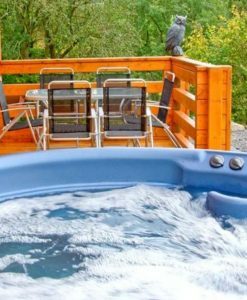 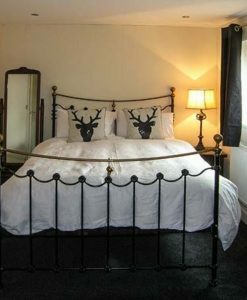 It offers the perfect location to explore North Wales from its idyllic mountains and moorlands, perfect for walking, to the popular seaside resorts. 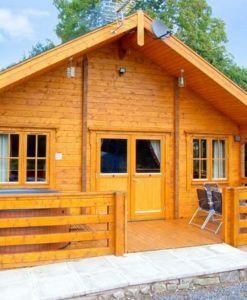 Snowdonia National Park is 30 minutes away by car.